Big news from the Gregory household! My wife Amy is now a published author. Just over a year ago, Amy woke up in the middle of the night several days in a row with this recurring dream. After a few days, she just got out of bed and started writing it down. 2 weeks later she had a full length novel, and she found her true passion in life! In the months since, she has written 2 more novels and signed with a publisher. Her first effort is a 4 book series and she is writing the fourth book now. Racing To Love, Carter’s Treasure published on 6/7, and books 2, 3 and 4 will publish in 2013. Needless to say we are all very proud! Check it out at http://amzn.to/Q4yBHb , and you can like her facebook page at http://on.fb.me/LLTghx. If you are interested in an autographed copy, send me an email! During the past 3 weeks I have been fortunate enough to attend not one, but two conferences/courses. I say fortunate because I was taught early in my career that there is real value in learning more about my field of work and keeping up on current trends in the industry. My first boss out of college emphasized that participation and attendance at local/regional/state/national events was not something to take lightly. Because in most cases my employer (including city governments, nonprofits and my own business) was paying for the trip, I had a responsibility to bring back ideas that could be implemented over time. As someone who is an ‘idea’ guy, I love hearing and seeing what people are doing across the country. There isn’t an industry I know of that doesn’t have a conference, educational course or professional development seminar that is worth going to (when I owned my coffee shop I once attended a coffee convention!). And while budgets can be tight, the long-term value of continuing your education is worth far more than the cost, even if you pay for it yourself. I encourage you to read this article that further emphasizes this importance. It might even be something you share with your employer the next time you want to expand your knowledge. I have always found that the right conferences return much more value than the cost of travel and time out of the office! Cloud & AltiGen Small Business Bundle! What a crazy, busy year it’s been! We just wrapped up a strong Q1 and I hope you did as well. Lots of activity as companies are once again investing in the future. AltiGen has released a new small business bundle for companies with 24 phones and less. They’ve put a KILLER price on it, and all of our features are included – smartphone integration, exchange integration, softphone (use your laptop with a headset for your phone), and software clients. Ask me for more information. One thing we’ve been busy with is helping companies integrate the “cloud” into their business. Since both on-premise technology and hosted technology each carries a host of pros and cons, most companies end up with a blend. It takes some work to find the right mix for your company – but done properly it will pay off in the end. This is an important piece as more employees work while outside the office – especially on mobile devices such as tablets and cell phones. Let us help you figure out the right strategy! Don’t forget to like our facebook page at https://www.facebook.com/NetInnovations ! If you like our newsletter articles, you will find other great articles about technology and improving your business as I find them. You’ll also find alerts and information that won’t keep for a monthly newsletter. Last month I promised some AltiGen updates after this month’s Dealer Council meeting. I’m going to have to keep most things under wraps just a little bit longer, but I can tell you that our iPhone docking station is a big success. It’s one of the top sellers on apple.com, and one of the highest rated! However, you can get it from us for less! If you use an iPhone, you should check it out – we can provide a demonstration unit for a few days in most cases! You don’t have to have an AltiGen system – we have lots of clients buying them for home. Let me know if you would like to see one! Hard drive prices seem to have stabilized for now – they’ve been steady for a few weeks. Availability can still be an issue; hopefully things are heading back to normal. Track Packages – simply google the tracking number! MUCH faster than going to the carrier website. February 2012, Do you like me? In honor of Valentine’s Day, I will ask: Do you like me? Please like our facebook page at https://www.facebook.com/NetInnovations or our twitter account at http://www.twitter.com/NetInnovations. If you like our newsletter articles, you will find other great articles about technology and improving your business as I find them. You’ll also find alerts and information that won’t keep for a monthly newsletter. Toll Fraud is on the rise in 2012! Toll fraud occurs when someone hacks your voicemail password, and then uses that access to make long distance phone calls from your company phone system. We didn’t see any toll fraud issues within our client base in 2011, and we’ve seen 4 in 2012! In most cases, the hacking is done by “brute force” with an automated system that just repeatedly dials and attempts to access voicemail until a password works. There are many ways to reduce your risk, I will list several below. Let me know if you would like our assistance in securing or auditing your system. I should have exciting updates on the AltiGen phone system next month – our dealer council meeting at AltiGen HQ is the first week of March. Once again Network Innovations is proud to be among AltiGen’s top 3 dealers. I have served for many years on AltiGen’s Dealer Council, and appreciate AltiGen’s willingness to allow me to help shape the future of such a great system. I’ll be planning our annual user group meeting when I return, I hope to see you there! Convert units of measure – search for a phrase such as “cups in a pint” or “31 kilometers in miles” (quotes not needed in the actual search). Instant results! Google is a calculator! Enter an equation for your search term and instantly get the result. i.e. 45% of 39, 9*5, etc. Read more about operators in the Google Guide: http://bit.ly/zf3w. I will include even more next month! Last month my blog included tips on preparation winter weather – we sure haven’t needed those tips here in Kansas City. What amazing weather we’ve had – it’s in the 60’s again today! Of course, you take the good with the bad – I met with a client in pest control services last week, and they are expecting a great year! Search is King! Today the name of the game is finding useful data in haystacks of information. Here are a couple Google search tips to help you find what you are looking for. I’ll include a few more next month. Microsoft Envisioning Lab update – You might recall my blog from August when I visited the Microsoft Home of the Future, created by the Microsoft Envisioning Lab. They recently released a video updating some of the concepts I discussed, showing them in action. This is a view of life 5-10 years from now, and is absolutely worth a look! Check it out: http://www.microsoft.com/office/vision/. There is also a great “behind the scenes” companion that goes into more detail about the hows and whys of what you see, and how you can utilize today’s tools to stretch towards that vision:http://bit.ly/svhe8o. Along with the holidays, winter weather is fast approaching – are you prepared? I’ve compiled a list of items to consider. Let me know how we can help! Phone system – do you have your holiday greetings in place? Do you know how to activate the inclement weather mode? Do key employees have the ability (and training) to know how to take an office phone home or access the phone system from a cell phone? Network – are key employees able to connect to the office and work from home? Do they know how to access your backup email if your server is down or loses connectivity? Is your disaster recovery plan up to date, and readily available? Office & Home – Do you have a good supply of ice melt and a good snow shovel on hand? Has the furnace been serviced, with air filters recently changed? Are smoke detectors and carbon monoxide detectors working properly? Car – Do you keep a good warm coat, hat, gloves and heavy blanket in the car? How about a good flashlight, sand and a small shovel? Also check the tread on your tires to ensure good traction. Drive safely! Don’t forget to let us review your phone & data bills. We work with companies every day to evaluate their current bills for voice and data services (phone lines, Internet connectivity, branch office connections), discover their current needs, and align them with the best solutions. Just this month I have helped two companies save more than $5,000 per year, and we’ve helped several companies save more than $50,000 per year! However, we can help even if your telecom expenses are just a few thousand dollars per year. Give me a call – your bottom line will thank you. Be aware that the hard drive shortage due to severe monsoon flooding in Thailand is ongoing. Things are not too bad right now, but prices are still volatile and shortages are expected at some point in early 2012. If you have any questions, let me know! Happy Thanksgiving! I hope that you enjoyed some time with family and friends. At Network Innovations, we have so much to be thankful for this year! We are especially thankful that we get to spend our days as part of your team, supporting your mission. We are proud that you place your trust and confidence in us. I saw an interesting article today out of the Gartner Data Center & IT Operations Summit 2011 in London. During a best practices session, Gartner Research VP Rakesh Kumar pointed out that building out your own infrastructure is less expensive than using a hosted service. In fact, Gartner estimates the cost of hosting will double every two years! The common perception today is that hosted services are less expensive that building your own infrastructure, but that’s not usually the case. Look for more information to come from Gartner on this as the week goes on. 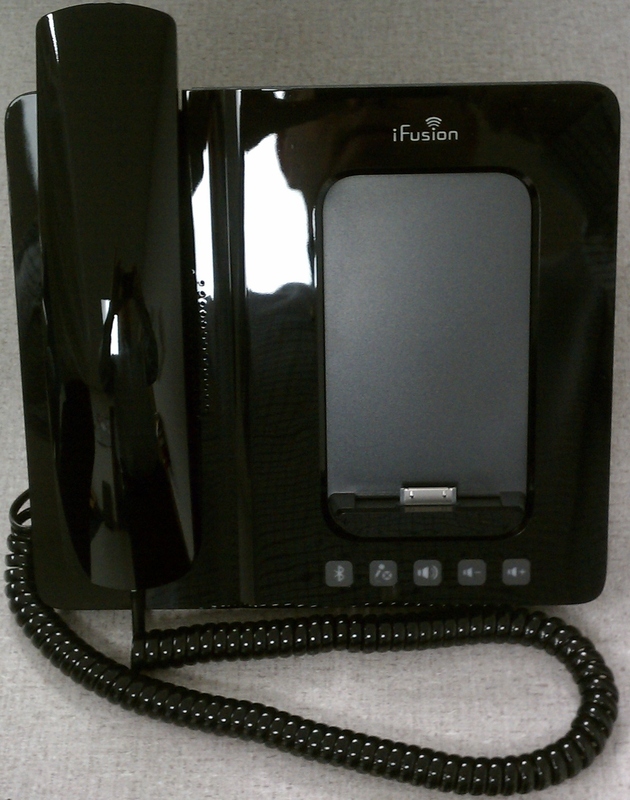 The iFusion phone is here! AltiGen is now shipping our iPhone docking station. This gives you access to a full duplex speakerphone & handset, charges your phone, syncs your phone if desired, and you can also play music from your iTunes through the speakerphone! There are connections for headsets and external speakers. This docking station is incredible when paired with AltiGen’s MaxMobile softphone app- you no longer need a desk phone! However, the docking station works the same even if you don’t have an AltiGen PBX – you can use it at home or anywhere you want. If you would like to try one out, let me know. Please note that due to severe monsoon flooding in Thailand, hard drive supply has been affected. Shortages are expected at some point, probably late this quarter running into the first half of 2012. While there aren’t any shortages today, pricing has been VERY volatile and speculation has driven up pricing. If you have any questions, let me know! A couple of weeks ago, while visiting Microsoft HQ in Redmond, I got the chance to tour Microsoft’s Home of the Future. What an amazing experience! Microsoft first built the Home of the Future in 1994 by Microsoft’s Strategic Prototyping Department, as a way to envision the future of technology 5-10 years from now. The home receives a significant refresh every two years, and every five years is completely rebuilt from the ground up. The home is closed to the public, but Microsoft employees and other IT celebrities like me 🙂 are able to spend time in the home, immersed in this vision of the future. The only ground rules are that the technology must have a possibility of becoming reality and affordable for an average homeowner within the next 10 years. Headed towards the home, my expectation was to see integrated LCD displays all over the home – so you can imagine my surprise when I found NONE! Everything in the home was projection based, using Microsoft’s vision of a light-bulb form factor device that contains a projector, microphone and optical scanners (think Kinect). All over the house were screens that would turn on and off as needed, controllable by voice, by gestures, and by tags located in everything in your home. These tags are similar in function to current RFID tags but quite different in technology. They will be ubiquitous – in appliances, food, clothing, and all other household goods. Imagine placing a mixing bowl and the bag of flour on your kitchen counter, and up pops a warning that you are out of chocolate chips. However, make a gesture and you will receive your favorite recipes that you can make with ingredients on-hand. At the grocery store and you can’t remember if you need cheese? Pull up a current inventory on your cell phone – although you’ll probably be shopping with a list the computer built for you based on your usage trends and desires. Not sure if your favorite shirt is clean or dirty or your sister “borrowed” it? You can find it with a click. Health care will change significantly well. In the Microsoft home every resident wears a watch that logs your heart rate, temp, activity level and other basic info. This info is uploaded to your personal health file, along with diet information obtained from the kitchen! Your doctor can make recommendations based on your actual history, and the computer can help you stay on track (maybe it notes on your shopping list that instead of chocolate chip cookies you should be looking at apples)! The teenager’s bedroom had different “themes” – you could redecorate your room every 5 minutes. Picture a morning mode, homework, party, etc. Facebook status changes appear on the wall, along with pictures, posters and artwork. Similarly, you can setup your dining room for a birthday party, or the entire house for Labor Day. One of the benefits of this projection based system is you can simply turn off all of the technology and unwind! A few questions come straight to mind, the first one being “has anything in the Microsoft home come to fruition?” While many things certainly come about over the past 17 years, a clear example is digital picture frames. First conceptualized in a speech by Craig Mundie, Microsoft’s Chief Research & Strategy Officer, the team took apart a laptop and built one from scratch, and of course they are very popular today. “Has anything in the home turned out to be a dud?” Again many things have fallen by the wayside, but a clear example is the front door. The first Microsoft home was built with an eye scanner to identify users and unlock the door – but in this prototype environment, Microsoft found that most people didn’t want to have their eye scanned. It was simply an intrusive and somewhat scary proposition. Today the door lock uses a palm scanner. Wow, here comes the fourth quarter! Time to revisit your 2011 goals and gauge your progress. If your bottom line could use a boost, one of the best things you could do is have us evaluate your telecom expenses. We work with companies every day to evaluate their current bills for voice and data services (phone lines, Internet connectivity, branch office connections), discover their current needs, and align them with the best solutions. We’ve helped more than one company reduce their telecom expenses by over $50,000 per year! However, we can help even if your telecom expenses are just a few thousand dollars per year. Give me a call – your bottom line will thank you. Last week, Cisco released their 2011 Cisco Connected World Technology Report, with some fascinating findings. The report provides insight into the mindset, expectations, and behavior of the world’s next generation of workers and how they will influence the business world. Think about it – the generation surveyed does not remember a time without the Internet, cell phones, and email. A connected world it will be – over half of the respondents said they could not live without the Internet and consider it an “integral part of their lives”. Shockingly, one third considers the Internet to be as important as “fundamental human resources like air, water, food and shelter”. If forced to make a choice between one or the other, the majority of college students globally would choose an Internet connection instead of a car. More than 25% of college students said staying updated on Facebook was more important than partying, dating, listening to music or hanging out with friends. Two thirds of students cite a mobile device (laptop, smartphone, tablet) as the “most important” device used on a daily basis – their parents would cite the television! Clearly this generation will have different expectations and ideas as they enter the workforce and move up the ranks. It’s going to be a challenge for our generation to adapt!